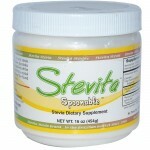 Stevia is a healthy, tasty way to sweeten just about anything and control blood sugar levels. Regular consumption of sugar-sweetened beverages (and particularly carbonated soft drinks), can lead to weight gain and increase your risk of cardiovascular and metabolic diseases. Not to mention the daily highs and lows that come with regularly spiking your blood sugar levels. The common solution for sweetening foods and beverages and avoiding the issues with blood sugar levels is to use artificial sweeteners like sucralose (Splenda) and aspartame (Nutrasweet, and now AminoSweet). While these substances may not be as harmful as some say, studies have shown that they may indeed cause harmful effects in the body. Until further research is done, I think it’s smartest to avoid them. So what can we use as a safe, low-calorie sweetener that doesn’t negatively impact our blood sugar levels? Well, stevia extracts known as “steviol glycosides,” to be exact. Stevia is a plant with sweet leaves, and research has shown that it increases insulin sensitivity, helps regulate blood glucose levels, has anti-carcinogenic properties, decreases oxidative stress associated with eating large amounts of carbohydrates, reduces blood pressure and inflammation in the body, lowers bad cholesterol levels, and protects the kidneys. In addition, very little is actually needed because steviol glycosides are 300 times sweeter than sugar, making them a 0-calorie sweetener. 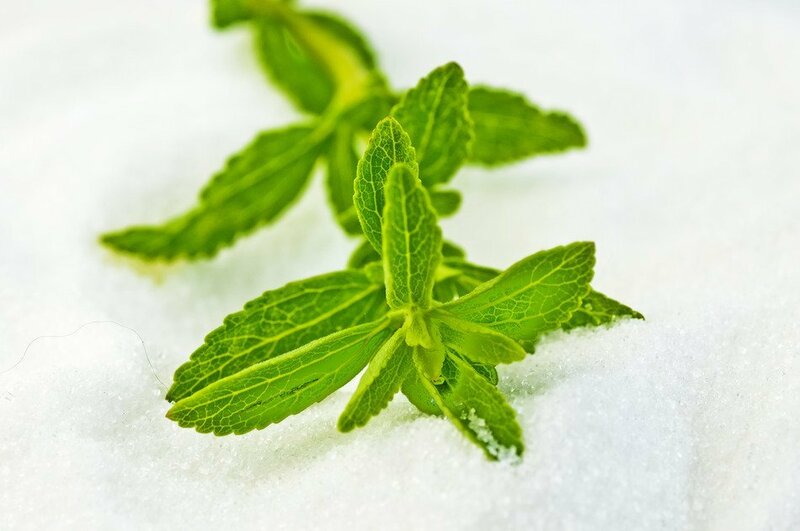 Their effects on insulin (and thus blood sugar levels) are also negligible (one study showed that stevia eaten with a meal resulted in lower insulin levels than aspartame or sucrose). What do you think of stevia? Love it? Hate it? Have a favorite brand? Let me know if the comments section below! Muscle for Life Success: Justin C.